The traditional trade industry is forced to take on new challenges and renovate itself to keep being competitive in an economy increasingly overawed by technology. Indeed, the e-commerce keeps growing at a fast pace – so much so that in 2015 its B2C market value has reached 1,671 billion dollars worldwide. Online marketplaces are more and more popular – compelling the more traditional retail industry to find new ways to emerge in such a competitive scenario, offering to their potential customers strong and holistic experiences. This is the reason why the food and beverage has started to peek out in stores traditionally not tied to the food industry. 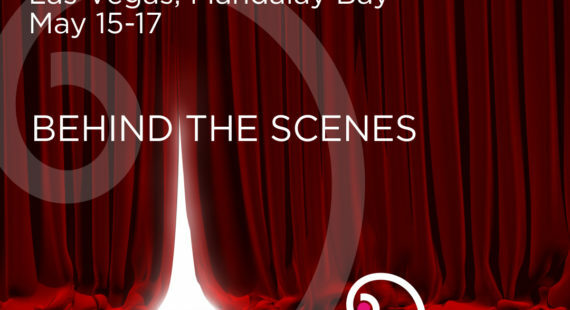 In fact, it is more and more common – according to March/April edition of Restaurant development + design magazine – to come across a food service corner in stores mainly selling clothes, shoes, furniture and other products. The purpose is to establish a deeper and personal relationship with the customer, making them feel just like at home and letting them experience the brand before purchasing an item. The well-known US brands TOMS and Urban Outfitters are among those which came to the decision to combine fashion and hospitality. 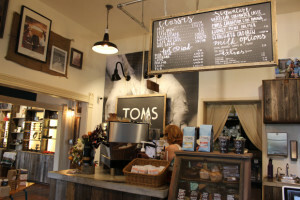 TOMS has placed inside its stores snack bars and coffee shops, furnished and decorated according to leading edge restaurant design concepts. Urban Outfitters has even bought a group of restaurants. The design of these luxury cafes and restaurants integrated in the stores is usually handled by well-known architects and interior designers. Serious attention is payed to setting up these areas – which have to be considered like a veritable brand extension. Not only luxury brands, but also mass market ones – such as Macy’s – are aligning to this trend, equipping their stores with food departments. The “food & shopping” trend has originated in the USA but it is rapidly spreading in Europe too. 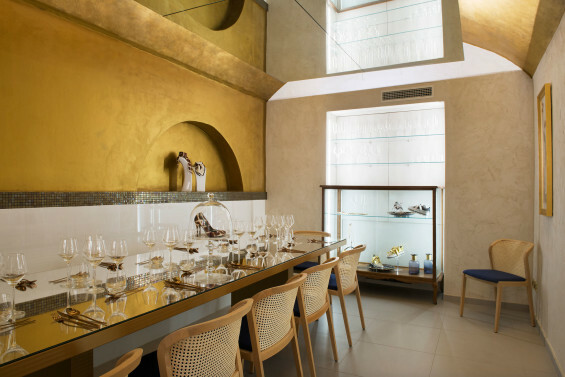 A fascinating example is Tiramisù Delishoes, the very first Fashion Restaurant Dessert Bar in Italy which has recently opened in the Brera District, the heart of Milan. Tiramisù Delishoes – as its owners explain in their website – aims at combining in an original way two realities that seem apart but have actually a lot in common: the food industry and the made in Italy fashion industry. A new exclusive concept. Trend-watcher are already looking forward to find out how this trend will develop both in Europe and worldwide. This new trend represents a great opportunity for companies and professionals operating in the hospitality industry. 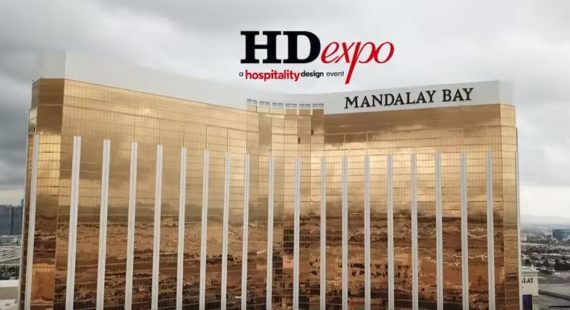 Lanari Associates coordinates a cherry picked selection of the best Italian companies in the hospitality design sector on show at HD Expo – one of the most important fairs in the trade held at the Mandalay Bay in Las Vegas – under the umbrella name ItalianContract4HospitalityDesign (ic4hd). Feel free to reach out to us to learn more: e-mail us at communication@ic4hd.com !